BUCKCHERRY ANNOUNCE THEIR RETURN TO IRELAND THIS JUNE! 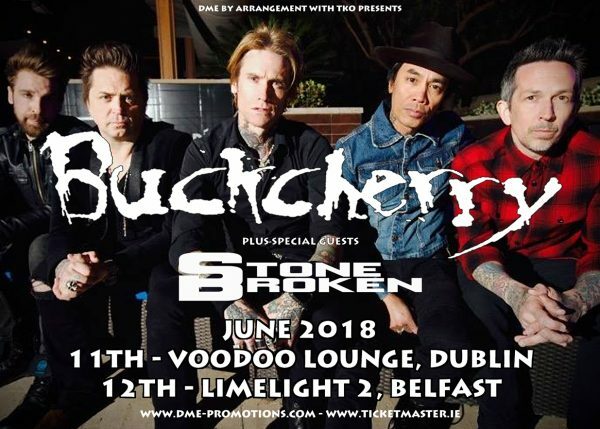 Los Angeles’s very own Buckcherry will embark on a selection of live shows across Europe this Summer with two Irish dates confirmed via DME Promotions and TKO. The guys will be appearing in Dublin’s Voodoo Lounge on June 11th and Belfast’s Limelight 2 on June 12th with tickets on sale from today (Wednesday, Feb 7th) priced at €22 (Ireland) and £20 (N.Ireland). Support for both Irish dates comes from UK hard rockers, Stone Broken. The departure of guitarist Keith Nelson and drummer Xavier Muriel last year shook up the bands’ energy and approach to writing with the induction of Sean Winchester on drums, and Kevin Roentgen on guitar. 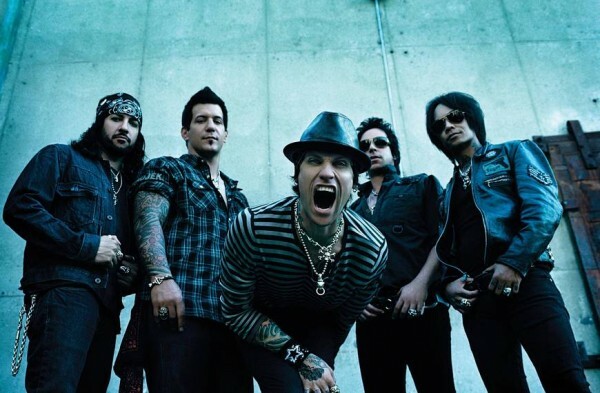 The new lineup of BUCKCHERRY made its live debut on April 28 at the Rock Into Springfestival in Las Vegas, Nevada. BUCKCHERRY’s latest album “Rock ‘N’ Roll“, was re-released in January 2016 via F-Bomb/Caroline. The deluxe edition featured the record’s original tracklist as well as a new version of “The Feeling Never Dies“, a brand new song titled “Getting Started” and a B-side called “Cannonball“. For more information, please visit DME Promotions.